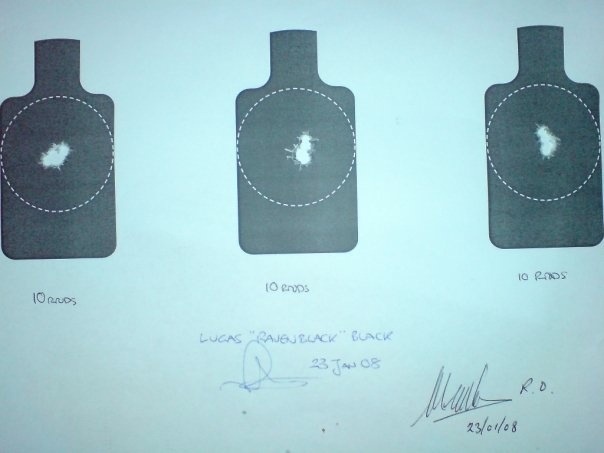 Back in January 2008, before my back injury, new job and a lot of other stuff (read the blog and catch up…) I was training and competing a great deal with my target rifle. I will say that I am by no means up there with the people who devote their lives to the sport – I just can’t afford that… so if you read this and think that I’m any good, then take it from me, I am a long way off of those in the top competitions – I take my hat off to those people – I wish I could spare that time and money, but I can’t. Health reasons stopped me for a while, and now I’m getting back to it… and to get some extra wind in my sails I am posting this report I wrote for www.snipercentral.com whilst I was a much, much more active member. 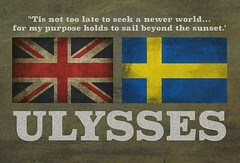 Now I am getting back into it all, I will be active there again – Great bunch of people with some very fine skills. Top place for newbies and oldbies alike! Anyway, this may read a bit odd as it is out of context and out of it’s original web space, but to fill in a bit before I carry on…. 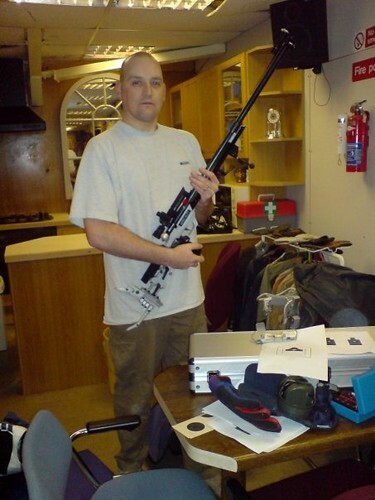 “Recoil” is a guy who shoots well… and at the time had told people that they needed to concentrate on getting to grips with their rifles without all the extra bits such as scopes and bipods to help the shot. He suggested using reduced range US Marine training targets. These are silhouettes that symbolise a target at, say 800yds, but are scaled so that you only place them 25 yds away…. so it saves space and is ideal for training. The idea is to shot with non telescopic sights and just use a sling. Most of the guys that carried out this task used AR15’s that are autoloaders… I used a .22 target rifle that needed to be reloaded after each shot… which isa handicap compared to their rifles… especially during a timed run! I did my practice targets and had my fun, but didn’t want to post my results on their forum initially, as I was much more serious and focused than the most of type of people who were trying the exercise. I didn’t want to put people off, as I was coming at these targets from a totally different background and with a skill set better suited for the task. I am always happy to help share what I know, and more than happy to pick up new lessons and skills myself, and after much poking and requests from other Sniper Central members I published a report. Just looking over it again after almost 2 years (Jeeeez!) has made me want to get right back into serious competition again. I miss the focus – and my back is as good as it is going to get, so it’s time to get training! 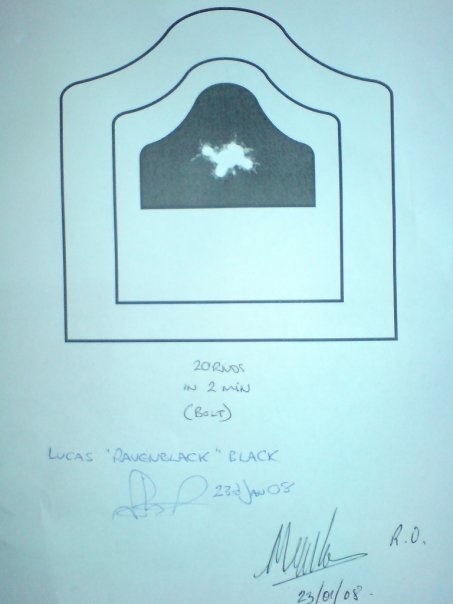 When I last shot I had just qualified as a Mastershot with a score of 396/400 – which gave an average of 99/100. I hope to be back there within the year…. Here is the report and the comments that followed it….HERE, but for Sometimespace…..
A fair few of you have asked for a report from me…..I’ve not wanted to do one before because what I do is not like what you mostly do. It can’t be compared – even though it is still lead tossing, it is a different school of lead tossing. Right, I need to make it clear that I am not bragging – I am not showing off, and I am not saying that I am better than anyone else. I do this. It is my thing. I don’t have to be able to run with a bergen, I don’t need to kill to survive and/or protect. 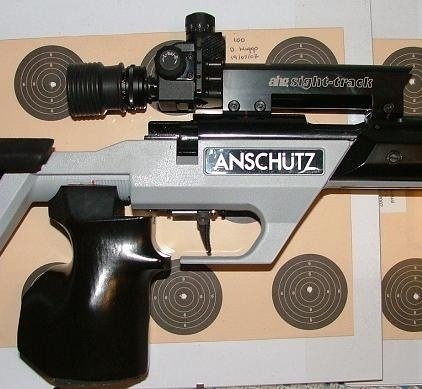 I sling my rifle, look through a dioptre sight (just a 3.7mm hole in a glass ring) and just shoot at small black spots with a “tack driver” that will always be able to out perform me. I joined SC to help gain some skills to help me. Skills that the “usual” target shooter probably wouldn’t be able to give me. 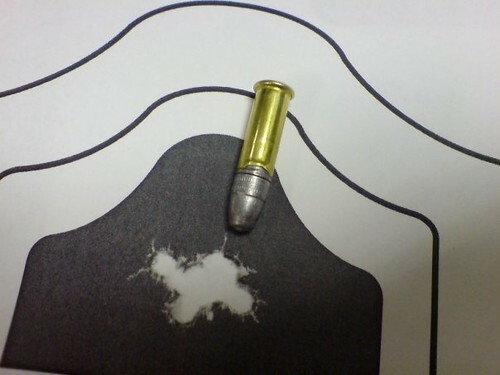 I shoot at targets that are much smaller than the reduced range practice pictures that Recoil put up. My usual 25yd target card (I shoot up to 100yds with the .22) is made up of ten individual diagrams that mean I have to move around the card – 1 shot in each diagram. This means upsetting my position very slightly for each shot. Those black dots I shoot at….I have to hit inside the very middle ring every time to win….without touching the line at all. That’s a lot of dry firing, relaxation techniques, focusing, listening to others….and practice. Currently I have a 98.2 average – by no means the best. That middle ring counts as 10 points – and a 10 spot card can give you 100 points. Simple stuff. When I shot Recoils reduced range targets I was just out for fun. As I did not have to move around the paper I could just punch away. Because of the results I even got my Club President to sign as a witness. Why did I say “Newbies stay away?” – A bit of a joke – but I always wanted to play guitar. After hearing Jimi Hendrix I realised I’d never be that good – so never started to learn. If you’re a newbie, then just practice…I’ve only had 3 years trigger time – but I’m in engineering and was taught my whole life to “LISTEN and DO AS I AM TAUGHT”. I was also told that you never stop learning – so never stop listening. I’m only as good as the people who help me – and that means each shot I fire has a little bit of all of you in it. For that I thank you. RIGHT…..Those darn reduced range targets…..
That fubar round….Don’t panic, dump it, reload, keep shooting. A bit more relaxing. Once the first shot goes in, the rest follow – once more thanks to me just having to hold one position (unlike the movement I am usually used to). 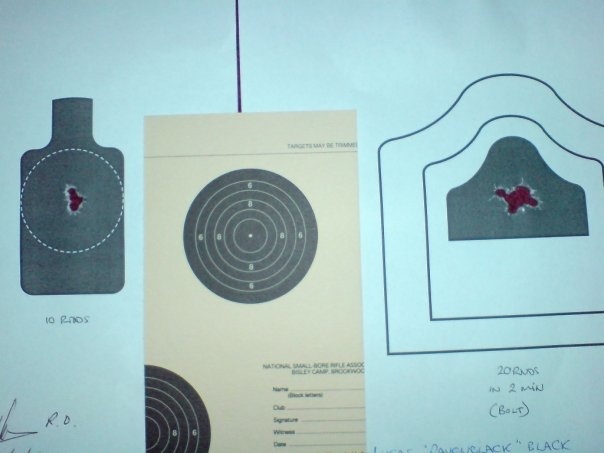 These diagrams took 10 minutes total to shoot….and yes….that is 10 shots in each. I put these in a range report because I didn’t want to post them in Recoils “reduced Range” thread. I’m a hard practising focused competition shooter – and I didn’t want these pictures to put anyone else off of having a go.